Burlington County Prosecutor Scott Coffina told those gathered that his office will continue to support services to victims and witnesses. The Burlington County Prosecutor’s Office held its annual Crime Victims’ Rights Week breakfast at the Westin in Mt. Laurel on April 12. This year marks the 30th year the BCPO has held the event. From left are Burlington County Freeholder Linda Hughes, Burlington County Prosecutor Scott Coffina and Burlington County Freeholder Ryan Peters. The Burlington County Prosecutor’s Office held its 30th annual Crime Victims’ Rights Breakfast on April 12 to honor those whose lives have been lost or disrupted by crime, while also paying tribute to the victim advocates and other members of law enforcement who serve this community. The breakfast is held each year during National Crime Victims’ Rights Week, this year’s national theme, “Strength. Resilience. Justice.,” is meant to reflect a vision for the future in which all victims are strengthened by the response they receive, organizations are resilient in responding to challenges and communities are able to seek collective justice and healing. Burlington County Prosecutor Scott Coffina told those gathered in Mt. Laurel for the event that his office will continue to place a high value on support and services to victims and witnesses. Coffina also discussed plans to enhance certain services, such as providing electronic notification of court appearances so victims can check on the status of their cases in real time. Coffina offered praise to those in the audience who have been affected by crime for their determination not to be defined by the events through which they suffered. 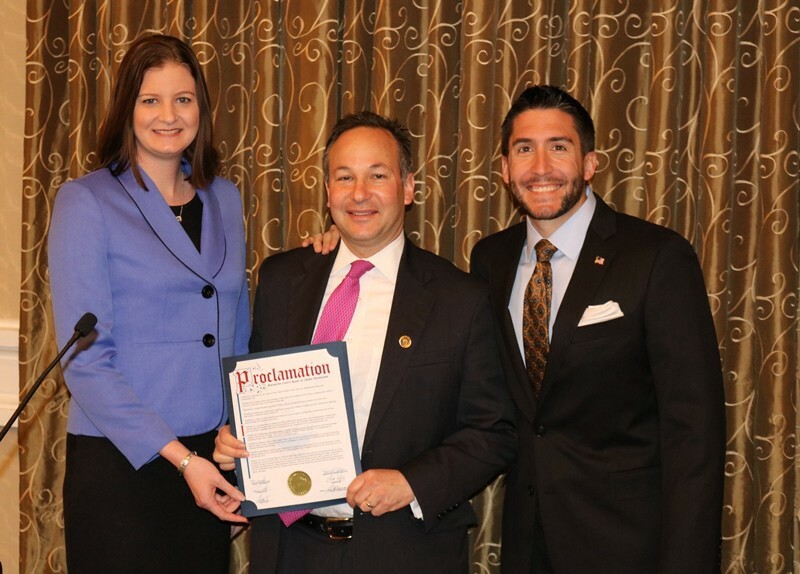 Burlington County Freeholders Linda Hughes and Ryan Peters also attended the breakfast and presented Coffina with a proclamation recognizing National Crime Victims’ Rights Week. The document also affirmed the county’s commitment and dedication to effectively serving all victims and witnesses of crime. The Prosecutor’s Office also received a proclamation from the office of New Jersey Gov. Chris Christie.